We are celebrating! 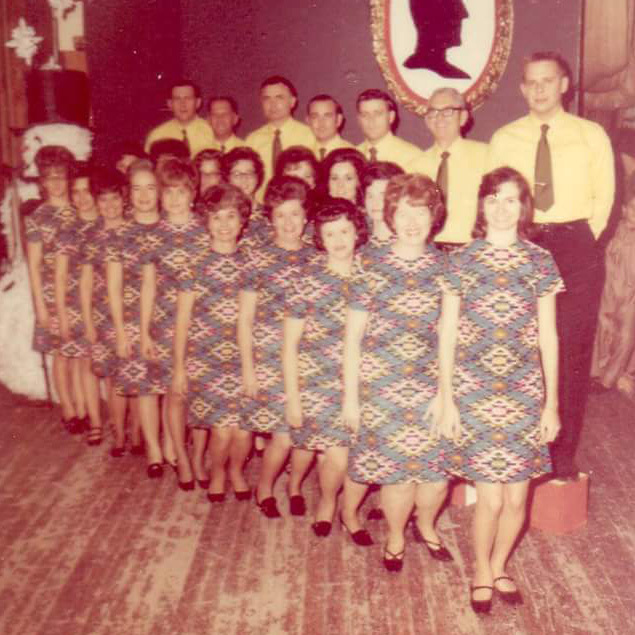 The Village-Aires community choir organized and presented their first show in the spring of 1967. During that time many wonderful singers have contributed their talent to the choir. We would like to invite former members to join us for our celebratory show. Rehearsals begin Thursday, Feb. 9, culminating with our spring show on April 29 and 30, 2017. Our 50th anniversary show will include songs that we have sung during our 50 year history. Director, Elaine Cunningham would love to welcome many former members for this special concert. If you are able to join us, please contact Janet Redenius 309-432-2594 or 309-261-2593 or jredenius50@gmail.com so we know to make a folder for you - and come to our first rehearsal on Feb. 9, 7:00 p.m., First Baptist Church, Minonk. If you are unable to sing in our 50th anniversary show, we hope you will be in attendance at our show so you can be recognized as a former member. Above is a an earlier Village-Aires group photo.